The TNT KaTropa were in the middle of a change of import. They were replacing Jeremy Tyler with the import that helped them reach the Finals last season, Joshua Smith. Smith just finished his stint in Japan and is due to arrive after the PBA All-Star Break. 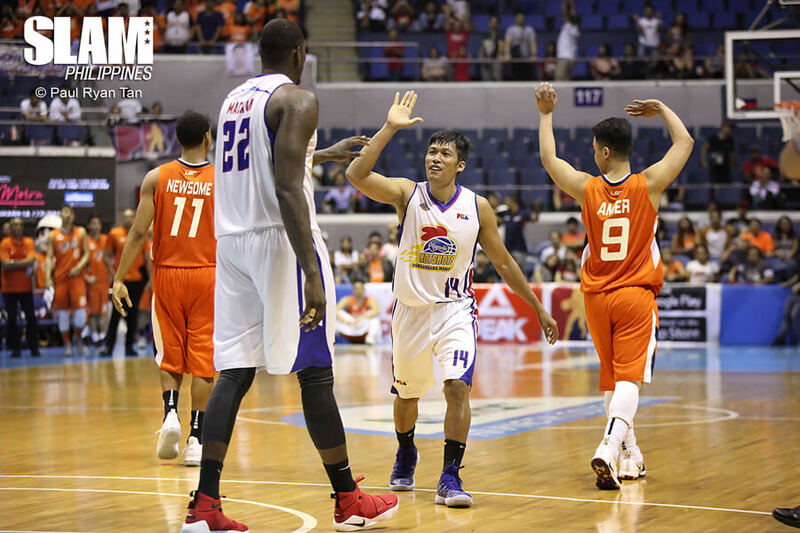 Because of the timing, TNT had no choice but to field an All-Filipino crew against the Blackwater Elite. The KaTropa showed that they have more than enough firepower to take down the Elite. TNT had seven players in double figures as they used a balanced attack to beat the Elite. They scored at an efficient clip, 45%. They also hit 16 three-pointers as a team to bomb Blackwater from outside. The KaTropa moved the ball well with 29 assists on their 45 field goals. Ryan Reyes led the way off the bench with 18 points and six three-pointers. Troy Rosario led all starters with 17 points and 11 rebounds. Jayson Castro and Jericho Cruz combined for 25 points 10 rebounds and nine assists. The KaTropa used a big second half to pull away from the Elite. After Renz Palma scored on a layup to cut the lead down to just two points, TNT went on 16-1 run to build a huge double-digit lead. Reyes got the run started with a three-pointer and Castro followed it up with back-to-back shots in the paint. Anthony Semerad and Cruz scored a three-pointer each in the run. TNT led by as much as 20 points in the fourth period, holding on to their big lead the rest of the way. 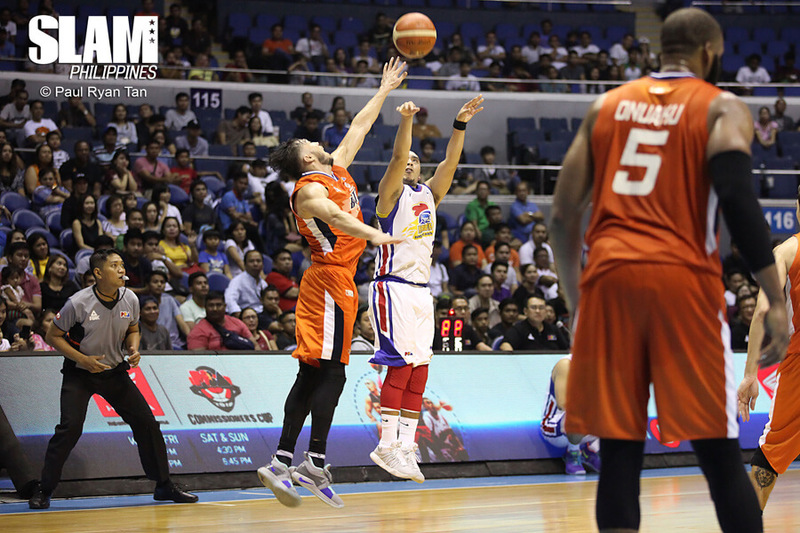 The Meralco Bolts had their chances to win the game but Chris Newsome missed two chances in the end game as the Magnolia Hotshots escaped with a win. With 32 seconds left in the game, Paul Lee hit two big free throws to tie the game at 79. In the next play, Meralco ran their clock down as Newsome held the ball at the top of the key. Newsome got a switch and Rafi Reavis faced him down with 9.1 seconds left on the shot clock. Newsome stepped back and fired a jumper that hit front iron. Vernon Macklin got the rebound and found Paul Lee to bring the ball down. Lee used a Macklin screen and got to the right side of the court. He passed to a rolling Macklin who was fouled as he went up for a shot. Macklin buried two free throws to give the Hotshots a two-point lead. The Bolts had three seconds left to tie the game. They called a timeout and Coach Norman Black designed a great play. KG Canaleta was inbounding the ball as Baser Amer ran out to the top of the key. Jared Dillinger cut across the baseline while Newsome used an Arinze Onuaku screen to get into the lane. Onuaku took up two defenders and gave Newsome a clean lane all the way to the hoop. Canaleta fired a high-arching pass and Newsome caught it inches away from the hoop. It was a great play. Unfortunately Newsome missed the shot. The Hotshots got the rebound and ran the clock down to secure the win. In his final game with Magnolia, Macklin led the way with 21 points and 15 rebounds. Lee scored 20 points and dished out six assists.